Saxophonist Nat Birchall has always been something of an enigma, a sublimely soulful saxophonist hidden from view in the Northern hills. His debut album Sixth Sense (1998) first announced him to the jazz world as an urgent tenor saxophonist with a feel for pulsing modal hard-bop. But it was his cult hit and now highly sought after soulful slice of spiritual jazz Akhenaten (released on trumpeter Matthew Halsall's label, Gondwana Records, in 2009) that suggested that the spirit of Coltrane was alive and well in Northern England. Acclaimed by the critics (MOJO for one hailing its 'spacial sunship beauty' and 'lyrical heat haze hypnotism') Akhenaten together with Halsall's own releases 'Sending My Love' and 'Colour Yes' helped create the unique sound that the Independent On Sunday described as 'rain soaked spiritual jazz from Manchester". Growing up in a Northern Village, Birchall was hardly exposed to jazz but through some friends fell in love with roots reggae and dub in the early '70s and it was the legendary Jamaican jazz-influenced saxophonists, Cedric Brooks, Tommy McCook, that inspired him take up the saxophone and through them that he discovered the music of John Coltrane. Lessons with an enigmatic local player, Harold Salisbury, followed as well as playing with various bands including Akay Temiz's Zaman. Birchall led a hip-hop influenced jazz band Corner Crew in the early '90s and started to make a name for himself on the local scene but felt unsatisfied with the music and despite some encouragement from the legendary record producer Tony Hall (Dizzy Reece, Tubby Hayes etc) Birchall resisted the call of the London scene and continued to search for the music he felt inside. Meeting trumpeter Matthew Halsall and a group of like minded players (including pianist Adam Fairhall, bassist Gavin Barras and drummer Gaz Hughes) gathered around Matt & Phreds in Manchester proved an inspiration 'Suddenly I felt something special in the music. My music is very simple, harmonically and melodically, so you have to play with as much conviction and soul as possible because there's nothing to hide behind, just the truth of how you feel the music." 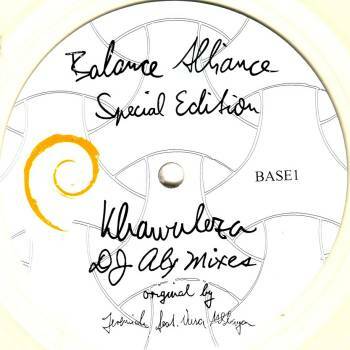 And it is this soulful elegance that illuminates both Akhenaten and Birchall's more expansive follow-up Guiding Spirit. Guiding Spirit opens with Open Up The Gates invoking the idea of huge ancient gates being opened to allow the procession through but with a subtext of acceptance and recognition. Keep the Light Shining is a sunny tune, infused with the optimism of a new day, while Higher Regions has something of a McCoy Tyner vibe and features harpist Rachel Gladwin on kora. Going To The Mountain is inspired by a simple phrase that Birchall heard Pharoah Sanders play and has an eastern feel "I've always been in awe of how some musicians can play the simplest things yet invest them with so much meaning, I try to achieve the same quality when I play, and in working with this phrase I ended up with this melody". The uptempo Becoming is named for something Duke Ellington once said, that he liked to have his music always "in a state of becoming" (which Birchall feels as something like a flower opening as you look at it rather than just seeing the flower already opened) and is enhanced by Fairhall's luminous solo. 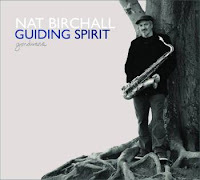 Finally the rubato Guiding Spirit hints at the hidden forces or unconscious decisions (those gut feelings) that for Birchall drive both life and his own deeply felt music. Orca Recordings was created to deliver music built for the dance-floor that retains its integrity by pushing its creative and production standards to a new level. Operating out of North London, Orca is set to represent forward-thinking artists who are influenced by, but not restricted to, the many strands of UK bass music. Created by one of the promoters of the seminal ‘Seasonfive’ event in Bristol, Orca has also been formed to document the style and variety of music made at such an exciting and innovative time for electronic music where so many genres are being blended together. The first release comes from X.I, one of the most exciting producers in bass music today. 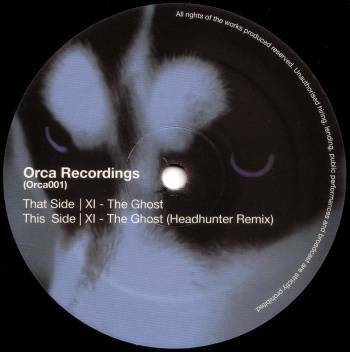 The track, named ‘The Ghost’ captures the exact sentiment and ethos of Orca. Right from the start XI creates an instant vibe with a short and energetic intro before the simple yet highly effective drum pattern and tough sub work out release this track's potential. 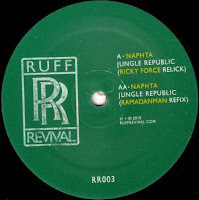 Frequent changes in synth lines and detailed edits are brought together by a captivating vocal sample, sure to be remembered by the heads once they’ve left the club. On the flip, Headhunter still searing hot from his Addison's Groove outing on Swamp81, demonstrates exactly why he is one of the most sought after producers, as he puts his unique touch onto his remix of ‘The Ghost’. Headhunter’s trademark razor sharp drums and production expertise help draw attention to the amount of space he has created in this track, creating an unequalled sense of paranoia, making it perfect for both the club and headphone listening. 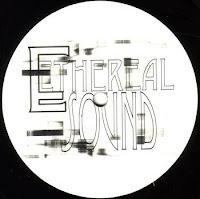 The delayed synth chords, snarling mid range and the volatile movement of the pad combine with the power of the sub to give a meditational, eyes down vibe, now an uncommon commodity in UK bass music. 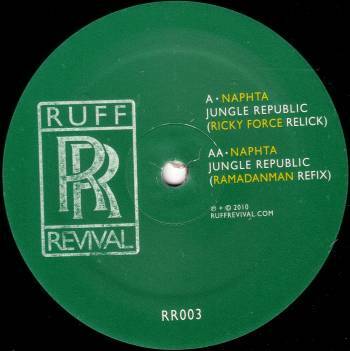 The double-barrelled intensity continues with two very different remixes of Naphta's deep stepper, 'Jungle Republic'. Hotly-tipped Dublin-based producer RickyForce twists the original into an artfully hyperactive remix brimming with vibes, touching down somewhere between vintage Foul Play and Krome & Time. 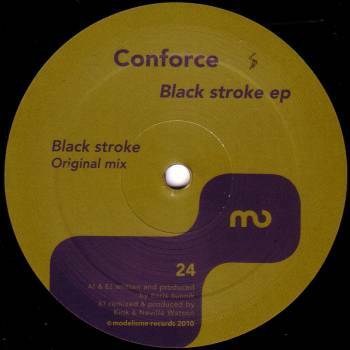 After his glorious 'Machine Conspiracy' set for Meanwhile and his splendid prior "CCCP EP" on Modelisme, which was charted & supported by names such as Steve Bug, Djulz, Ewan Pearson, François K, Brendon Moeller, Kirk Degiorgio, Mike Dehnert, Giorgio Gigli... Conforce strikes back on Modelisme with another great release titled "Black Stroke ep". The original is an hymnic detroitish tune, the swinging groove and the right strings, highly sensitive materials. Guests on this ep, the excellent Kink & Neville Watson worked out an old school acid house remix within a typical chicago vein - they know what to do. To round things off "Pretty far from here" is a superb old school house track, subtle deep funky sounds on raw beats with a sensual mood. A must have. Modelisme again, Conforce - well nigh essential. Deep Explorer, Underground Quality, Uzuri, Quintessentials, Kontra Musik, Millions of Moments, the list of this Russian producer's releases reads like a who's who of some of today's finest, most forwards thinking house imprints. Here he returns to Ethereal Sound in fine style by way of a follow up to his take on 'I Get No Kick From Champagne' - dopest quality house jams united with poise and that certain feeling. 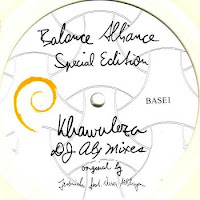 Balance Alliance Special Edition clear vinyl 12"